Never worry about dropping your phone ever again! 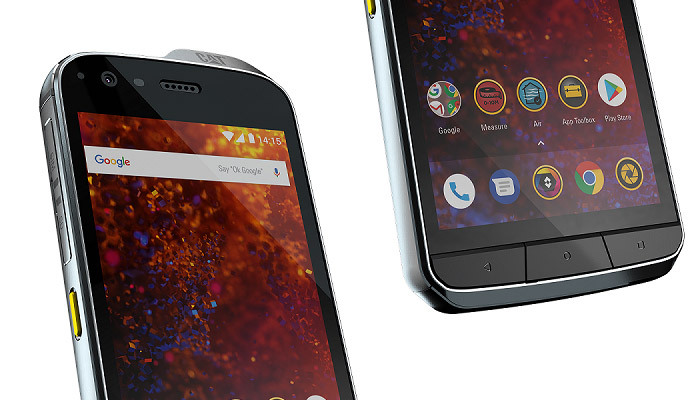 Looking for a Tough, Rugged & Waterproof smartphone that’ll Survive the Apocalypse? Look no further! Rugged smartphones appeal to three types of people, the adventurous outdoor person, manual workers and people like me… who are always dropping their phones. Even the keyboard warrior can have need for an indestructible smartphone! 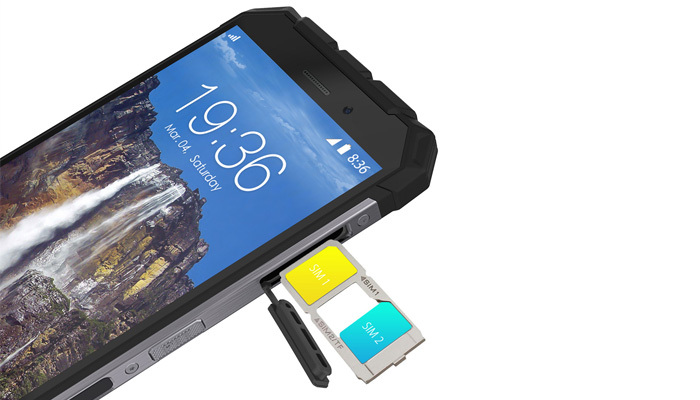 If you work out in the elements or love the outdoors, you need a smartphone that’ll survive the apocalypse in extreme conditions… a delicate smartphone isn’t going to cut it. Whether it’s extreme heat, constantly being dropped, surviving underwater or just being 100% sealed from dust and dirt… We’ve got just the rugged phone for you! 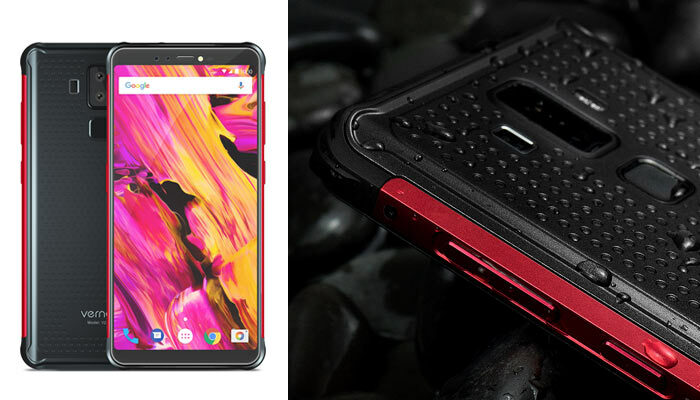 This list only features the toughest, most rugged & fully waterproof smartphones of late 2018 / early 2019. All the phones below are available right now. Check out page 2 for upcoming tough & rugged smartphones. Don’t know your IP rating from your MIL–STD? Don’t worry, I’ve explained everything you need to know here. The Ulefone Armor 5 is the prettiest tough phone you can lay hands on. 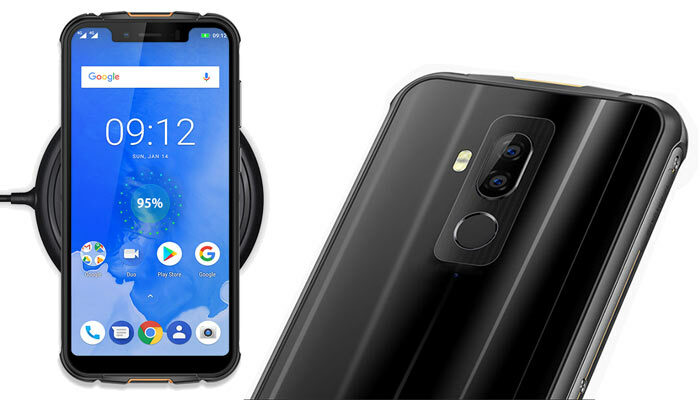 It also happens to be the very first rugged phone to feature a display notch and an impressive screen-to-body ratio of over 91%! It’s fully waterproof to an IP68 rating which allows the Armor 5 to be submerged in water 1.5 metres deep for up to 60 minutes. It also features 10w wireless charging meaning you don’t have to mess around with USB port when charging. The battery itself is a healthy 5000mAh, more than enough for a full days power usage or two days normal use. The shiny back of the phone is made from a scratch-proof shatter-proof acrylic with a reinforced TPU bumper for protection against drops. This is all held together by the central metal chassis. This one tough phone to beat while still fitting into your pocket. The successor to the CAT 60, the CAT 61’s thermal imaging sensor is now twice as powerful measuring up to 400 degree temps with HD image data. It also includes an air quality sensor that measures VOCs. It’s not just a fancy thermal camera either; it’s 1.8 meter drop-proof thanks to a strengthened die-cast frame and it can be left underwater for up to an hour at depths of 3 metres. The screen uses Gorilla Glass 5 and is also certified to work in wet conditions. Tough Credentials: IP68 Rating, Dust Proof, Drop-proof to 1.8m, 3 metres for 60 minutes water submersion, MIL-SPEC 810G, Operating Temp: -25°C to 55°C, Category 4 vibration, Thermal imaging camera, Laser Measure, Gorilla Glass 5. 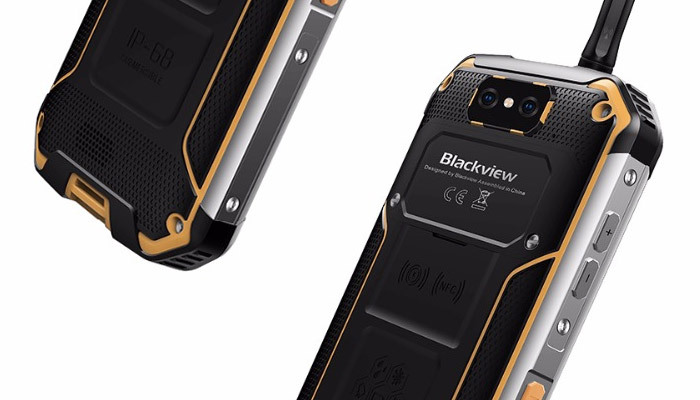 Blackview is the king of rugged with a pedigree that goes back to 2014. They’ve been making tough phones for years and are experienced in making some of the most badass smartphones ever! The BV9500 Pro is one of these and comes with the highest protection of IP69K. To get this rating, the BV9500 was blasted with high pressure water jets at 80°C. It also passed the MIL-STD-810G drop & shock testing. We also get a side-facing fingerprint readers, NFC and wireless charging for that humongous 10000mAh battery. With great power comes one seriously heavy smartphones that weighs in at 365g. And saving the best until last, there’s also a screw on antenna so you can use the phone as a walkie talkie! Awesome! The Blackview BV9500 Pro is a beast! The Ulefone Armor X doesn’t meet our minimum hardware requirements, but I’ve included it anyway. Why? because the Ulefone Armor X has a lot to offer. Not only is it IP68 waterproof but it has NFC, Wireless charging and comes with the latest Android 8.1 OS. 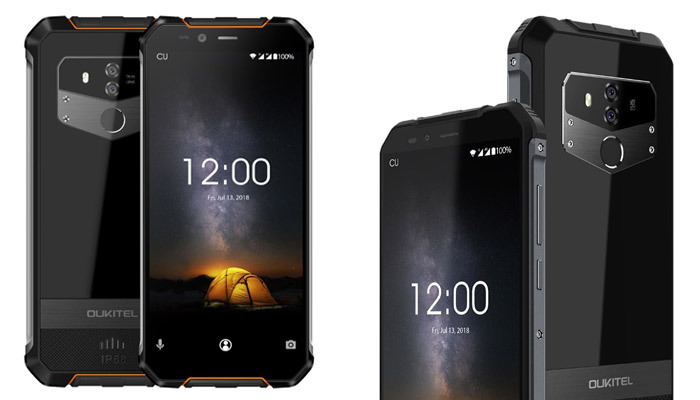 For light Android users who need the extra protection of a rugged smartphone, the Ulefone Armor X is an excellent choice… but… it does have its cons. The MediaTek MT6739 isn’t the fastest and the 16GB’s of included storage is low. On the bright side, there is an expandable SD card port available. For a smartphone with a massive 5000mAh battery, the 13.9mm thickness and 256 grams weight can be forgiven. Overall, it’s a great budget option is money is tight and you’re a light Android user. The Vernee V2 Pro offers not only a waterproof IP68 rating and solid drop protection armour, but actually resembles a smartphone. A lot of tough & rugged smartphones look more like 80’s Walkie Talkies than modern smartphones. The IP68 rating is good for 30 minutes submersion at depths of 1.5 meters and it comes with an anti-slip design making it easier to use in wet conditions. Inside we find the capable Helio P23 8-core chip combined with a very healthy 6GB’s of RAM and 64GB’s of storage. To top it all off, the Vernee V2 Pro comes with a large 5.99″ full HD display. No rugged phone is complete without an epic battery life to match. The V2 Pro doesn’t disappoint with a 6200mAh battery that’ll easily last you two full days. The 18w fast charger will top you up 30% in only 30 minutes. Rugged Credentials: IP68 Rating (1.5m waterproof for 30 minutes), Dust & Dirt Proof, Corning Gorilla Glass, Magnalium Frame, TPU Armoured Corners, Anti-slip Design, -30°C to +60°C degrees operating temps, Compass, GPS+GLONASS. The Doogee S55 is made from an aluminium chassis surrounded by reinforced TPU drop bumpers. It uses a textured leather patter to improve grip and is IP68 rated for submersion of 1.5m for 24 hours. Protecting the display is Gorilla Glass and it’s also certified to work in extreme temps of +60°C to minus 30°C. The S55 is one of Doogee’s budget rugged handsets with the S60, S70 being also available with enhanced rugged protection and faster performance. 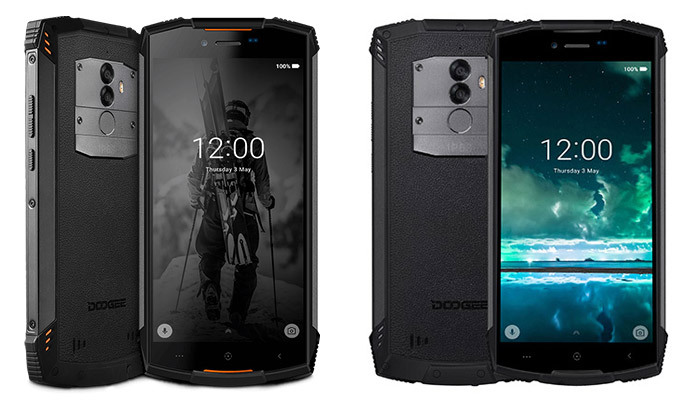 The S80 is soon Doogee’s soon to be released rugged flagship phone which can be found later on in the coming soon section. Rugged Credentials: IP68 Waterproof Rating (1.5m for 24 hours), -30°C to 60°C degrees operating temps, Gorilla Glass 3. Oukitel are no strangers to creating tough smartphones with their latest, the Oukitel WP1, being a beauty! I love it when smartphone makers get the design on a rugged phone just right. The perfect mix between toughness and elegance! But none of that matters if the WP1 can’t take a beating! It comes with an IP68 rating making it waterproof, dustproof and dirtproof and has also been ruggedized to withstand shocks and vibrations. All four corners are made from shock absorbing TPU held together with metal supports either side. If you spend a lot of time outdoors, you’ll also appreciate that the WP1 has an inbuilt barometer sensor & e-compass. In terms of performance, it’s powered by the MediaTek Helio P23 with 4GB of RAM and 64GB’s of storage. The dual rear camera setup also uses a Sony IMX lens with a resolution of 13MP. Finally, not rugged phone is complete without a big battery. The WP1 has 5000mAh which is fast-charge and wireless charge ready. What you don’t get is a full HD display or NFC. But considering the price, the WP1 is a good option. 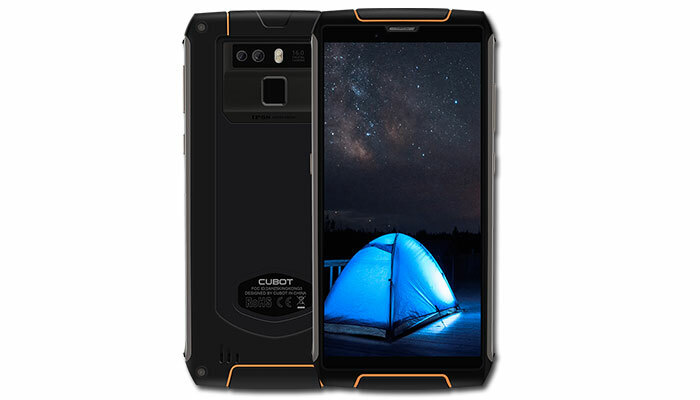 Cubot is better known for its range of reliable budget smartphones, than its rugged phone lineup. The Cubot King Kong (1) was a bit of a flop. It was underpowered and didn’t stand out against the competition. The Cubot King Kong 3 brings some much needed performance upgrades. Most notably; NFC, a large battery and Gorilla Glass protection. It may not be armoured up to the core, but it has price on its side as one of cheapest phones in this list. If you hadn’t heard, Samsung’s 2017 Flagship, the S8 has also been released in a tough rugged version called the Samsung Galaxy Active. 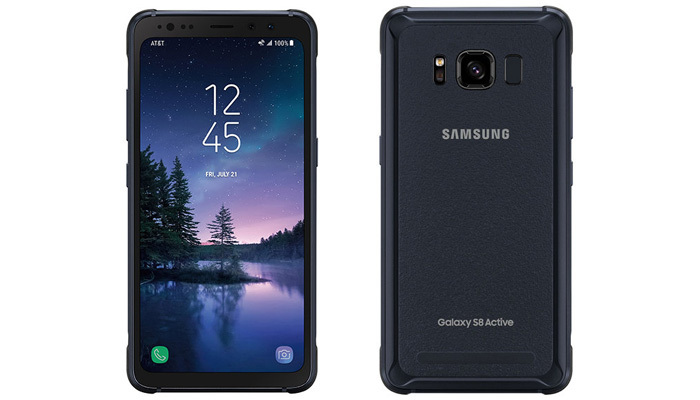 You might find it hard to get your hands on the Galaxy S8 Active though, as Samsung has partnered with American network AT&T to release it exclusively. If you’re lucky enough, you can find unlocked Galaxy S8 Active on sites like eBay. The Active version of the Galaxy S8 does away with the curved infinity display in place of a flat screen. It has rubberised corners to protect it from drops, has a shatter resistant screen and has an improved IP68 rating of 50 minutes at 1 metre depth. In terms of hardware, we also see a jump in battery size up to 4000mAh. Overall, it’s not a huge jump from the original and you might be better off getting a case like this from Amazon for the standard Galaxy S8 instead. We’re still waiting for news on the release of a Samsung Galaxy S9 Active.